Fallen trees, limbs and branches can pull down power lines and lead to outages. In fact, outside of storms, trees are the number one cause of outages in our area. 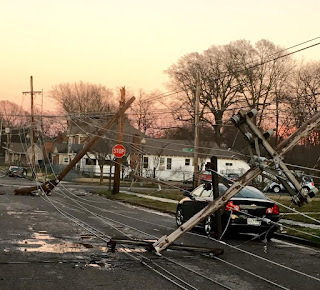 In March 2019 one tree fell over in a storm and took a dozen power lines down with it. 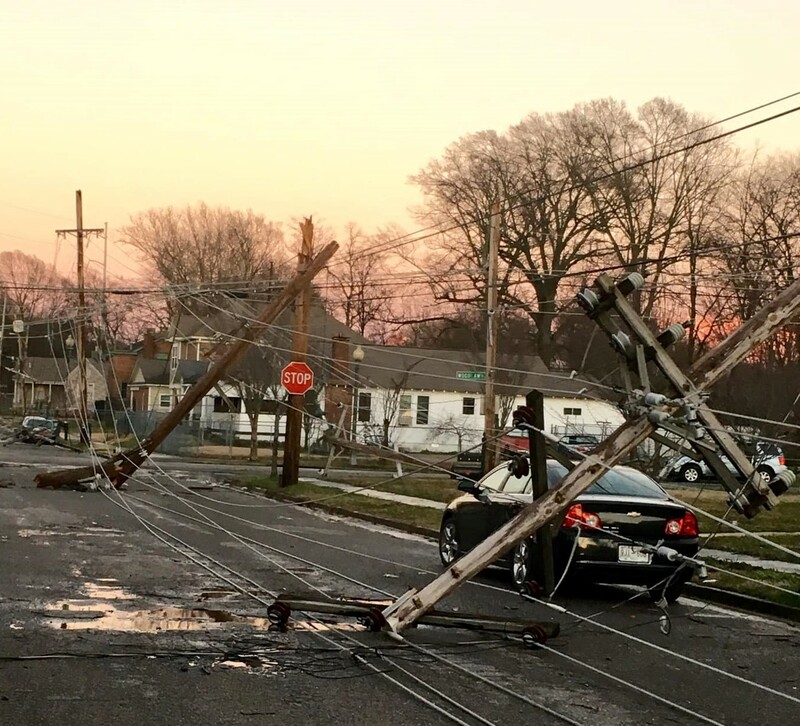 Hundreds of MLGW customers lost power because one tree fell. March 9, 2019, near Looney Ave. and N. Danny Thomas Blvd. MLGW is diligent with its tree trimming; it is a year-long program with a goal to keep power lines clear of limbs and branches and help ensure reliable and safe service for our customers. The Utility Arborist Association (UAA) says "utility vegetation maintenance" helps protect the public. Pruning and removing certain trees and shrubs helps keep wires and trees far enough apart to lower the risk of electrical shock and reduce the potential for fire. In order to keep lines away from hazards crews trim trees once every three-to-five years. Each time they trim they must make enough room, or "clearance," so the tree does not start to threaten the power line before the next time it is trimmed. What kind of power line is it? How close are the tree and line to each other? Is the tree at a house that's been there for years, or is this a new construction project? Click here for a detailed version of the line clearance policy and what you can expect if there are trees on your property that may be growing too near power lines. You are part of the process too. 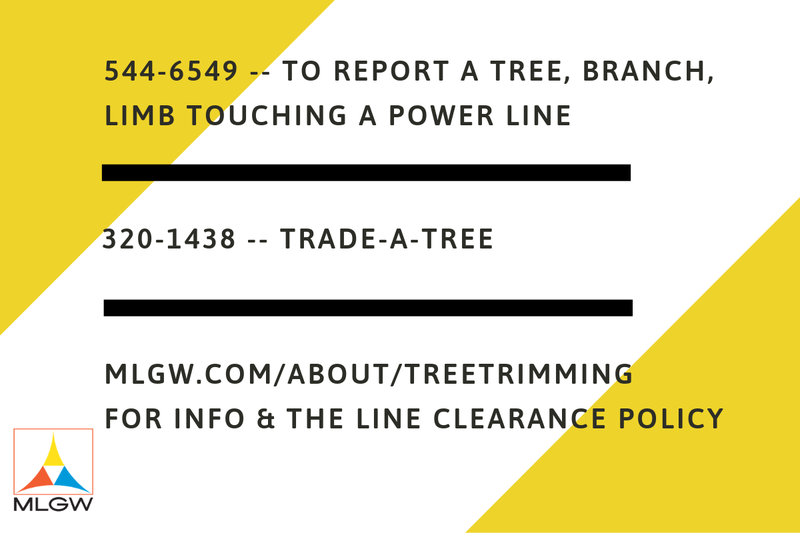 If you notice a tree branch or limb that is interfering with or touching a power line, please let us know. Call 544-6549 and report the issue to one of our Customer Care Agents. No law prohibits you from trimming your own trees, but please note: tree trimming near power lines is extremely dangerous work. A quick Google search will show you the latest incidences of people hurt or killed clearing brush/trees near power lines. Some lines are not insulated and direct contact leads to electrocution. You can also be shocked or electrocuted if you come into contact with a tree that's been energized. For these reasons, tree trimming near power lines is best left to professionals with professional-grade equipment. 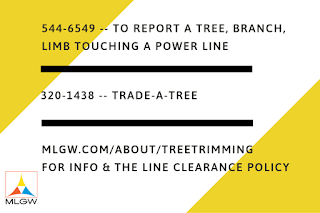 MLGW customers interested in doing their own tree trimming must follow the line clearance policy for the sake of safety. The policy is in line with Shelby County's tree trimming ordinance and the National Electric Safety Code. If a customer does his/her own trimming MLGW is responsible for initial and final inspections. Trimming isn't always enough. If a tree is in a position to threaten a distribution line MLGW removes it. If that happens, MLGW will replace the tree through our Trade-A-Tree program. 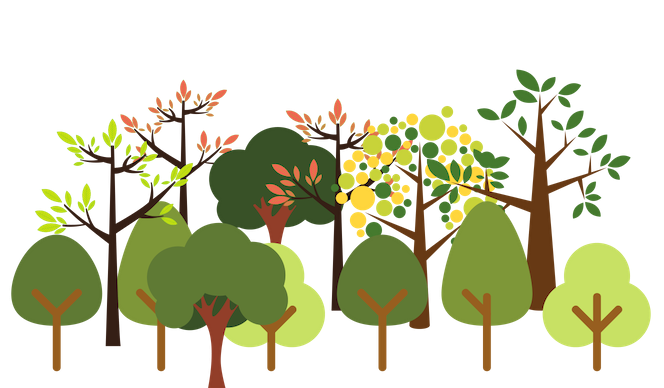 Customers can choose from a list of trees and shrubs. Call 320-1438 to Trade-A-Tree. Visit mlgw.com/about/treetrimming to learn more about MLGW's tree trimming policy and ways to ensure reliable and safe electrical service.